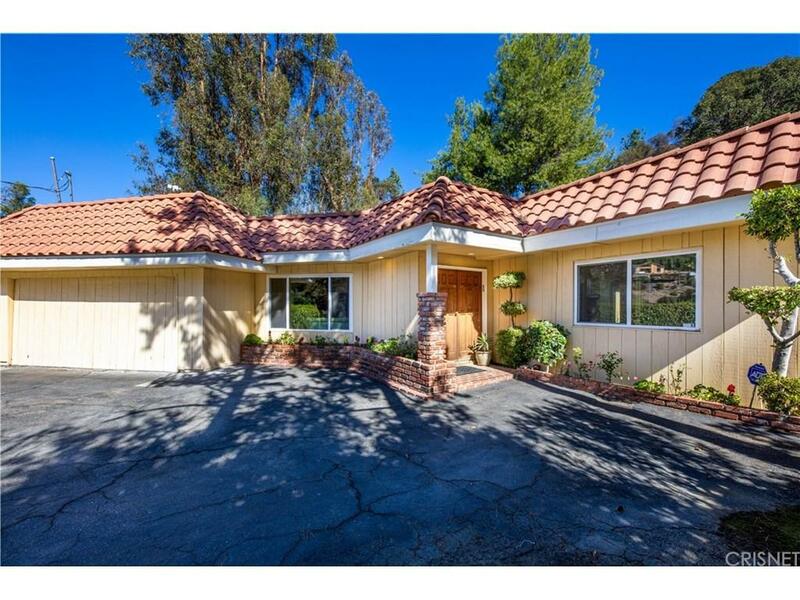 Reduced $500K from original list price! 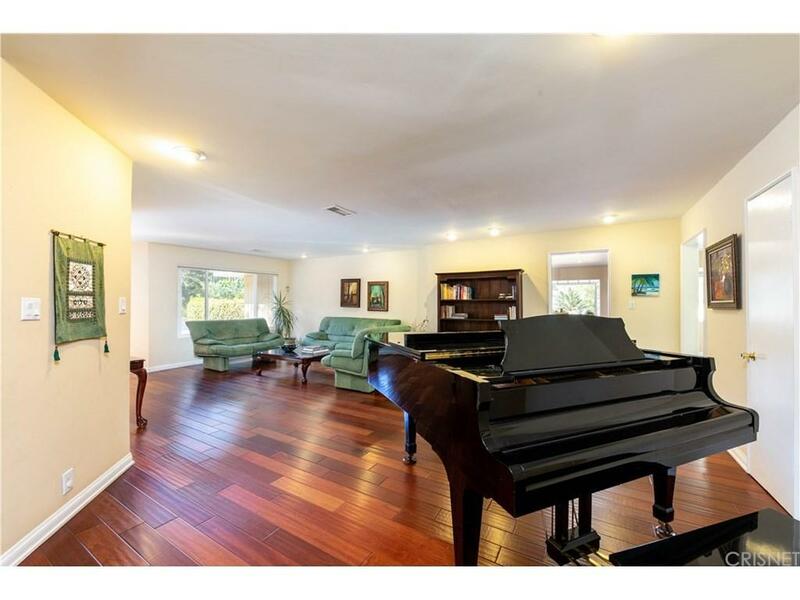 Lowest price per square foot south of Ventura in 91436 zip code, Lanai Road School! Set back from the street with privacy, this single-story home is located in the coveted Lanai Road school district and has easy access to the Westside. 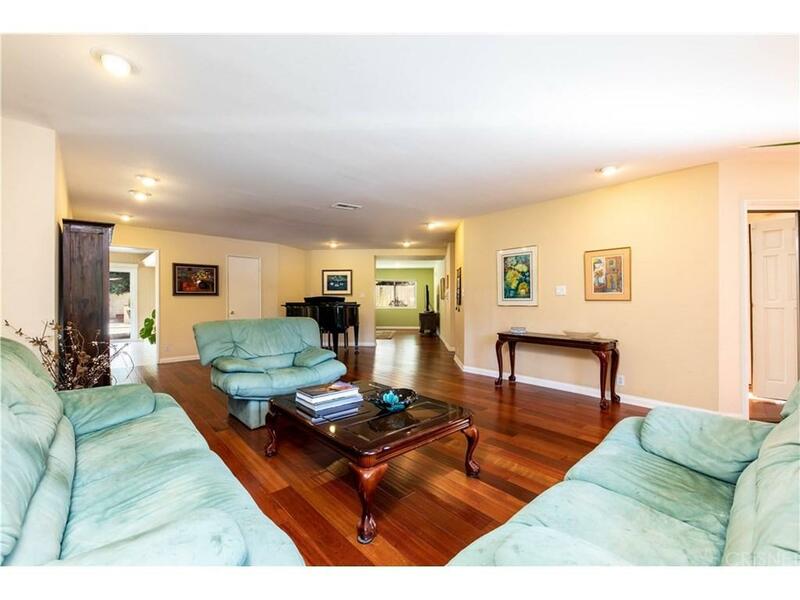 Double front doors open to a spacious living room with hardwood floors. 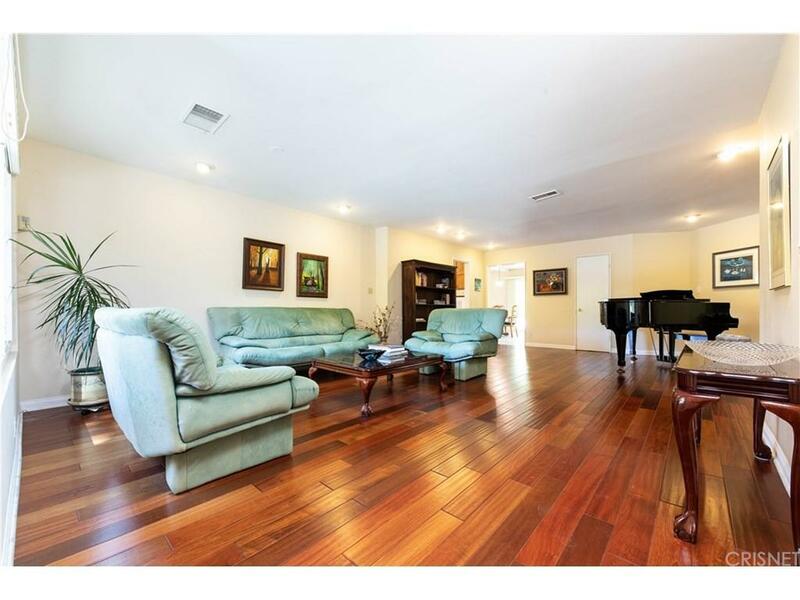 The family room has hardwood floors and a fireplace with marble hearth. The banquet sized formal dining room can accommodate many guests and has tile floors and a marble fireplace. The kitchen has an eating area with a garden window that looks out to tranquil mountain views. The main bedroom wing consists of the master bedroom with en-suite bathroom, featuring a shower, spa tub, bidet and dual vanities, and two bedrooms with full bathroom off the hallway. The garage was previously converted (with permit) to a large bedroom with ~ bathroom and laundry area. The carport (which was added at the same time) has since been removed. Sliding glass doors open to the rear yard with flagstone decking, pool, and side yard grassy area. Mostly new windows and doors. There is a lot of potential to update/remodel!